Some 295 adults died in prison - many of whom had mental health conditions. According to the report, non-natural deaths include suicides, deaths caused by another person, including homicide - and other deaths, for example by overdose. Authors gathered detailed information from family members and worked with official bodies such as the Care Quality Commission (CQC), Her Majesty's Inspectorate of Constabulary and the Independent Police Complaints Commission. Mark Hammond, chief executive officer of the commission, said: "This inquiry reveals serious cracks in our systems of care for those with serious mental health conditions. "We need urgent action and a fundamental culture shift to tackle the unacceptable and inadequate support for vulnerable detainees." Much more involvement for families. The Department of Health says it is calling on every part of the NHS to commit to a new "zero suicide" ambition. 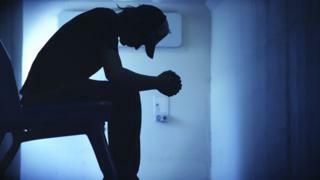 Modelled on a depression care programme in Detroit which had no suicides for more than two years, officials hope this can be replicated more widely in England. Health experts are also working with NHS England and the CQC in an attempt to improve the investigation system for deaths of patients in hospitals. Separate official reviews are also being conducted surrounding the care of prisoners at risk of self-harm and young people who have died in custody since 2007.